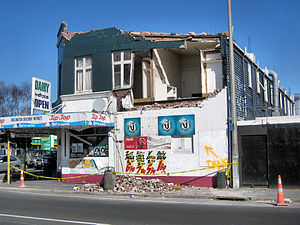 This article about Christchurch, NZ highlights some of the results of stress and anxiety from a major destructive earthquake and thousands of aftershocks. As you might expect, those conditions do affect people’s behavior. See: Christchurch Fuses Shorter in Wake of Quakes. October 13. This entry was posted in Human Impacts, New Zealand by recoverydiva. Bookmark the permalink.